World leaders concluded three large agreements last year regarding markets, data, and innovation. These can do a lot to contribute to sustainable development representing a vision of how to change the world. A new Global Commission on Business and Sustainable Development has set out to do just that. 27 July 2015, the United Nations General Assembly endorsed the Addis Ababa Action Agenda on financing for development by concluding the agreement to move from “billions to trillions” of cross-border flows to developing countries. 25 September 2015, the 193-Member United Nations General Assembly formally adopted the 2030 Agenda for Sustainable Development, along with a set of 17 new Sustainable Global Goals (SDGs), 179 targets and 230 global indicators. The SDGs set out priorities for what needs to change. Success in implementation will depend on how each government will do its part. Another milestone was the adoption of The Paris Agreement on climate change, during the Conference of the Parties (30 November - 11 December 2015, Paris). This international agreement has endorsed a shift to low-carbon economy (and ultimately zero carbon). Emissions cuts by sector regard also Agriculture, as follows: “Agriculture will need to cut emissions from fertilisers, manure and livestock and can contribute to the storage of CO2 in soils and forests. Changes towards a more healthy diet with more vegetables and less meat can also reduce emissions”. What is common in all these three agreements is obvious. All of them reflect a new transformative vision for a better world that will evolve as a universal, integrated matter of practice. Understanding this common point – or better, a new common theory - is crucial to successful implementation strategies of the three agreements. Governments might lead, but they must mobilize others to join in and provide a framing to ensure that the collective effort is moving in the right direction. The new theory of how to change the world may be subdivided in three elements. Market forces can drive business towards scalable investments that simultaneously generate sustainable solutions to development challenges. “With digitization of information, payments technology, and logistics, goods can be delivered affordably to most people on earth … Business can do a lot to contribute to sustainable development, and a new Global Commission on Business and Sustainable Development has set out to do just that”. “The world of data changes every day and every hour. New innovations have hugely increased the quantity of data and the possibilities available to people and institutions who want to collect and use it. The challenge, and the opportunity, is to make this new world of data useful and useable to improve people’s lives” (Data Revolution Group). More data from more sources with more disaggregation (from monitoring cellphone, SMS, internet access use, dense integrated circuits, orbital satellites, etc.) can help significantly to drive towards transparent, accessible and evidence-based reforms and accountability. Though only few development agencies or policymakers are investing in improving or acting upon such data. Instead, different private and public parties continues to lean on official government statistics (often outdated and imprecise) and statistical agencies. Great transformations are still required to build a culture of real transparency. It is clear that without significant economical and technical shift – that should be accompanied with rapid adoption of new technologies - it will be impossible to expect the quality of the innovation contributions from many of the global goals. Economical and technical changes entail acceptance of a number risks that inevitably accompanies innovation. “There are large costs of compliance and lack of timeliness… Only one global body, the Global Innovation Fund, explicitly focuses on innovation and scaling up”. “These cautionary notes suggest it is easier to express a new theory of change than to act upon it… Yet we must try as hard as we can. 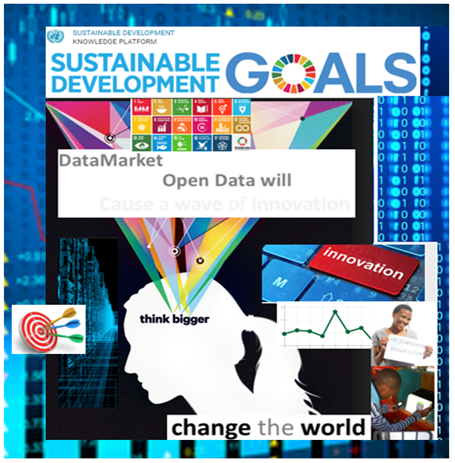 Markets, data, and innovation can change the world”. Early actions saves costs later.